19 FebProviding SaaS then, cobrowsing for customer support is a must! 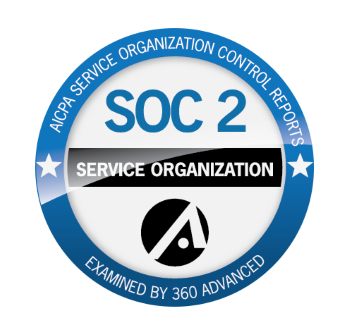 Convenient, low cost and flexible, SaaS has been adopted by enterprises worldwide for a wide range of business processes including sales, business intelligence and customer support. The simplicity of this innovative operating model is the reason for its popularity. Under this system, service providers offer pre-built applications to companies that can be accessed via cloud, removing the need for investing in expensive on premise software systems. 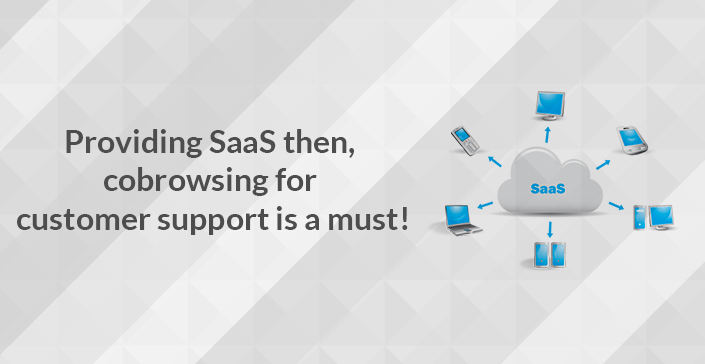 For enterprises leveraging SaaS, cobrowsing for customer support is a must-have solution. This tool allows simultaneous-collaborative browsing between the agent and the customers while maintaining high level of security. The visual aid ensures that customers can have a direct view into what the customer is experiencing on a website which improves the agent’s understanding of the situation and helps in solving the customer’s issues quickly. And what’s more, the solution doesn’t require special software as it runs on webRTC technology. Incorporating visual engagement via cobrowsing in online customer service channels has diverse benefits. Customer support executives can engage personally with the customer and provide in-depth information, can host discussion along with visual support through the website for e.g., tour of product portfolio, or even walk the customers through complex online processes. This personalized and supportive form of interaction increases trust and satisfaction among customers, which results in improved loyalty over time. Another key benefit of the cobrowsing solution in SaaS is that its deployment is extremely simple – a small software is added within a website and this alone is enough to bring the facility to life. This feature makes it a cost-effective solution that seamlessly delivers the services without the hassle of procuring licenses or doing software installation on user devices. The cobrowsing platform is thus clearly an asset to a SaaS organization. It not only reduces support and deployment costs but also in fact drives revenue growth. According to Aberdeen Research, companies deploying cobrowsing tools have a 61 percent higher year-on-year growth in revenue, underlining the extensive impact of improved customer experience on a company’s topline. Instant collaboration : Cobrowser can be used by the customer to initiate a session right at the time of need within a website. The click-to-call option is available on a webpage and requires no further effort on part of the customer other than clicking on it to reach a company representative. Personalized Guidance: This is a tool that can be used by agents to provide step-by-step assistance through difficult online processes or even buying decisions. Agents and customers can jointly navigate through a website and have a discussion simultaneously, enriching the interaction. Easy to Install and Operate: Since the solution is an in-built feature of a website it eliminates the need for installation of a software or a plug-in, increasing convenience and accessibility. Better Quality of Customer Service: Personalized interaction results in better understanding of customer needs and issues. This results in agents being able to solve problems at first-call itself on a consistent basis, which increases sales conversions and customer satisfaction. Faster Query Processing: Customers today dislike waiting for responses. With cobrowsers agents can quickly identify the issue and provide solutions with minimal delay. No more emails, long phone hold times or in-store visits required for concluding transactions or solving problems. High Customer Security: The latest technology that has been used for development of the cobrowser ensures that at no point the security of the customer using the service is compromised. Confidential information fields are automatically blocked from view, visibility into computers to other viewers is limited to the website and all transactions are secure. Higher Sales Productivity: The wide range of interaction afforded by the use of this tool makes it possible for sales agents to convert customers faster. The cobrowser allows for a show-and-tell experience rather than just basic verbal explanation. With this wide range of benefits, cobrowsing is clearly the right choice for SaaS companies to provide cost effective yet high quality customer service to their customers.